Physicists from Sweden and Spain have created a router than can quickly and efficiently direct information at the tiniest possible level. “If you want to make a real quantum network, you have to have the ability to do things like route photons – everything we do in a real communications network,” said Chris (C.M.) Wilson of the Chalmers University of Technology in Göteborg, Sweden. Wilson and his colleagues Io-Chun Hoi, Göran Johansson, Tauno Palomaki, and Per Delsing, along with Borja Peropadre from the Instituto de Física Fundamental Serrano in Madrid, Spain, have done just that, creating a quantum bit that can route information to one of two outlets in nanoseconds. The achievement could help spur on the development of quantum information networking. Conventional computers, at their hearts, work with bits – the smallest units of information. Bits are binary; they can be either a zero or a one. They are responsible for all the information processed inside a computer. At the quantum level, however, a quantum bit - or “qubit”- does not have to be one or the other. It can be both at the same time. The fact that a quantum system can be in both states at the same time is a key ingredient of quantum computation and will allow theoretical quantum computers to do difficult calculations far faster than conventional computers. This special nature, however, makes creating quantum systems challenging. In their experiment, the researchers worked with microwave photons – little packets of light from the microwave region of the electromagnetic spectrum. The photons act as information carriers. 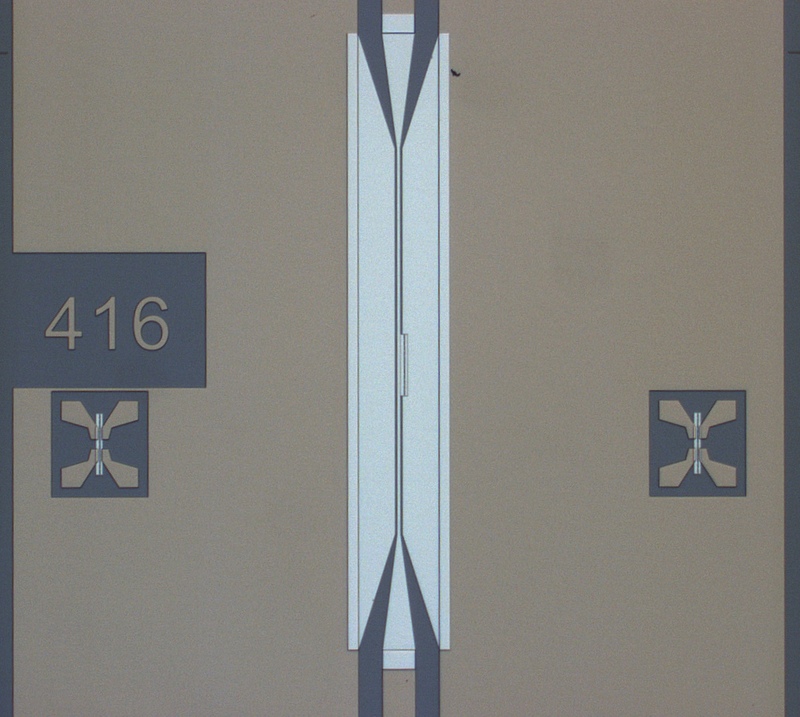 The team routes the photons using a custom-made quantum bit, called an artificial atom. They use a green control light to turn the artificial atom on and off. When the green light is off the artificial atom acts like a mirror reflecting the photons which are then routed to a first output. When the green light is on the photons are no longer reflected but instead transmitted and routed to a different output. Switching between on and off, and therefore between output ports, takes only nanoseconds. 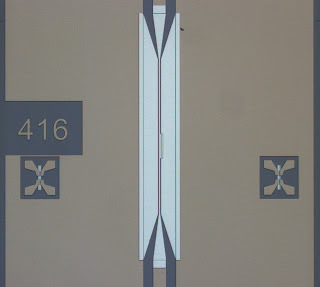 The artificial atom, made from aluminum, was created in a clean room using the same nanofabrication techniques used to make other modern electronic devices. The artificial atom must be very cold to work properly. To test it, the group’s first artificial atom was cooled down and then tested over a period of a month before being warmed back up. The cooling, testing and warming process was then repeated twice more with little adjustments to the experiment made before each new test. This intense series of tests helped the researchers create a more effective atom for their second sample. “After we understood all the basic physics behind the device, we made a new sample – a much better sample because we knew what to do,” Hoi said. With the first sample, when the artificial atom (green light) was turned on, about 90 times more light passed through than when the atom was turned off (when it became a mirror), matching previous similar work. With the second sample, though, the team improved their artificial atom so that when it was turned on, about 99 times more light passed through than when it was turned off – making the difference between on and off far more apparent. Koch said the research will help quantum information developers thinking about scaling up quantum systems from a few qubits to hundreds or thousands of qubits. When it comes to quantum information, there are two different worlds: Quantum computing and quantum cryptography. Quantum computing involves processing information and doing difficult calculations. It is task-oriented. Quantum cryptography, on the other hand, is security-oriented. It involves making the distribution of information between distant parties absolutely secure. The router developed by the researchers in Sweden and Spain will be more applicable to the encryption side, they say, helping to route secure information at the quantum level. Banks first encrypted data at the quantum level in 2004 when a secure money transfer was made between the city of Vienna and an Austrian bank. Quantum encryption was again used to securely transfer ballots to Geneva in the 2007 Swiss national elections. This paper appeared in the APS journal Physical Review Letters on Tuesday, Aug. 9.